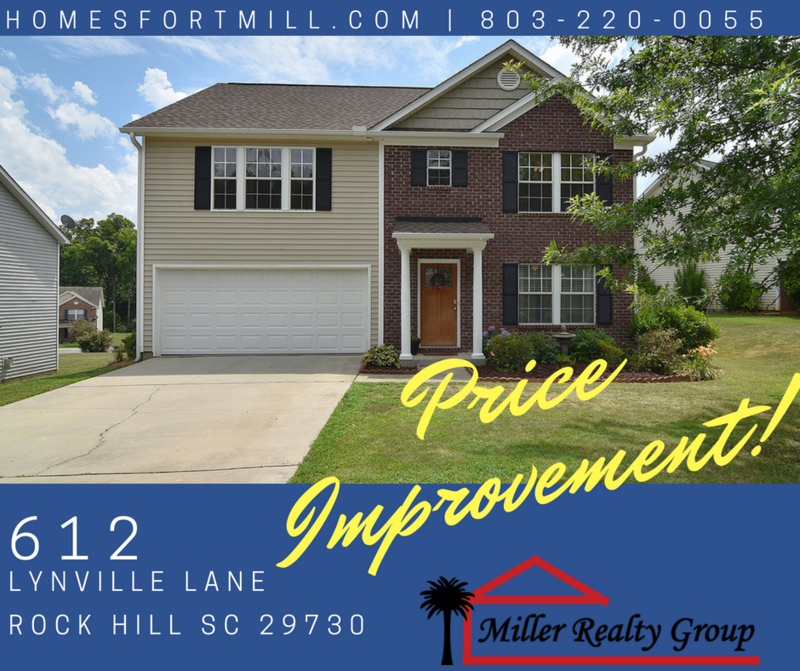 Beautiful and spacious 4 bedroom/2.5 bath home in Village Green subdivision. Open floor plan. Tons of moldings. Formal living & dining. Kitchen w ss appliances that convey. New microwave. Breakfast room. Great room w fan. Over sized master w vaulted ceiling & 2 walk in closets. Master bath w dual vanities, walk in shower w separate tub. Spacious secondary bedrooms. Laundry w shelving. Washer & dryer to convey. Pergola w fan over patio in fenced back yard. Out building. New roof in 2013 w 30 year warranty. Home located between 2 cul de sacs. Neighborhood amenities include pool and pond stocked for fishing. Rock Hill High School. To see more click here or call 803-220-0055 to schedule a private tour!